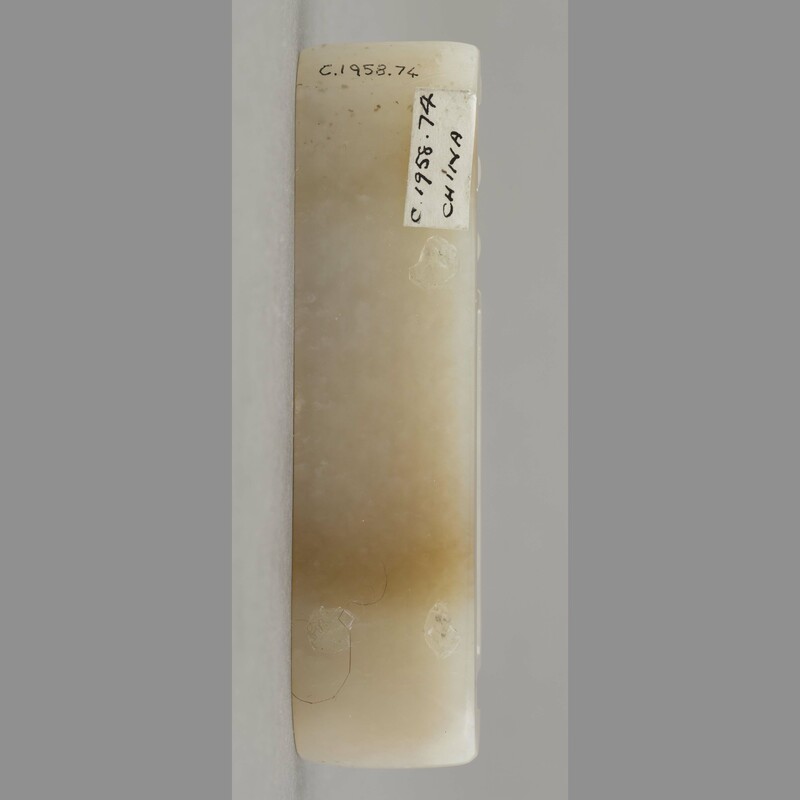 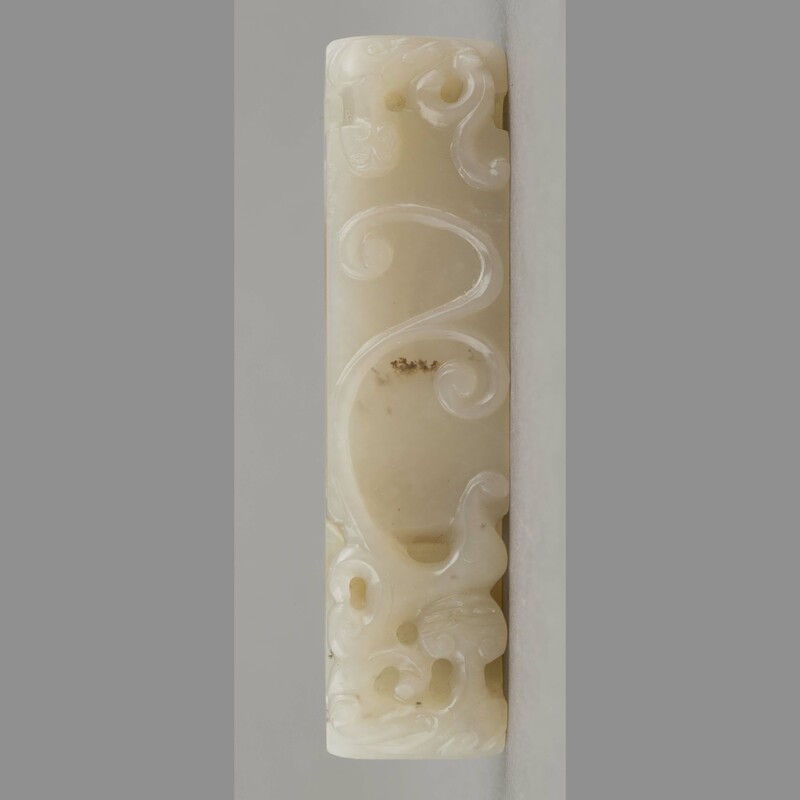 One rectangular yellow-white jade sui. 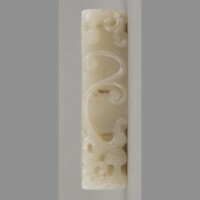 Obverse presents serpentine relief carving. 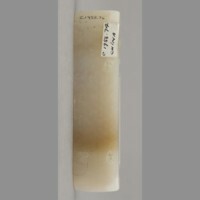 Reverse presents a flat surface. 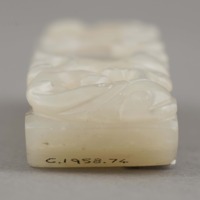 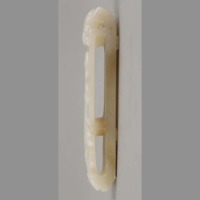 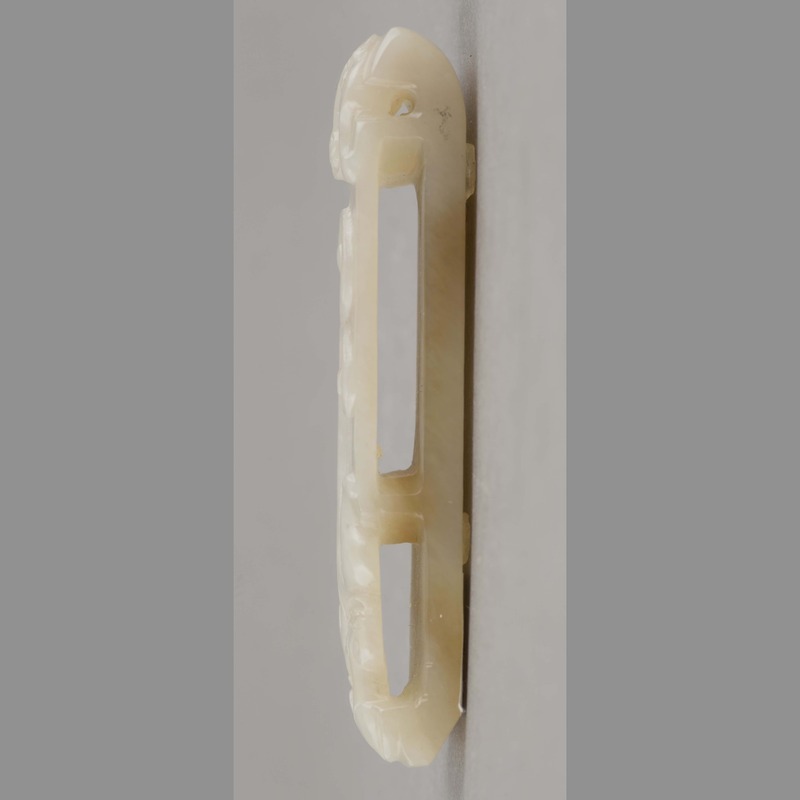 “Jade: sui,” China, Art and Cultural Diplomacy, accessed April 22, 2019, http://rewialleyart.nz/items/show/1085.